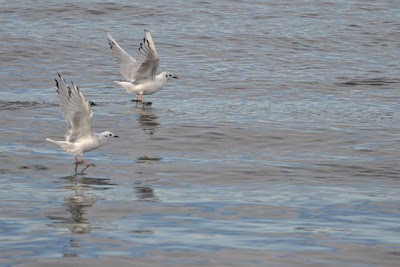 We started cruising north up Discovery Passage, and I enjoyed watching several hundred Bonaparte's gulls actively feeding on the surface of the water. They swarmed around the boat as we picked up speed. There was a lot more to look at than the scenery, however. 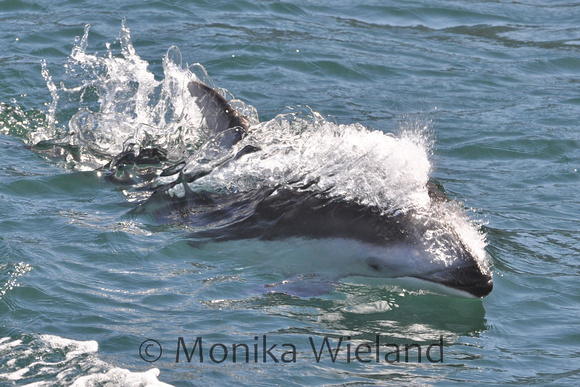 Some splashing caught my eye in the distance, and it turned out to be a group of about 20 Pacific white-sided dolphins! While it looked to our naturalist like they were actively foraging, a few still broke off and came over to ride our stern wake. Another one leaped about 8 feet in the air - an amazing sight! 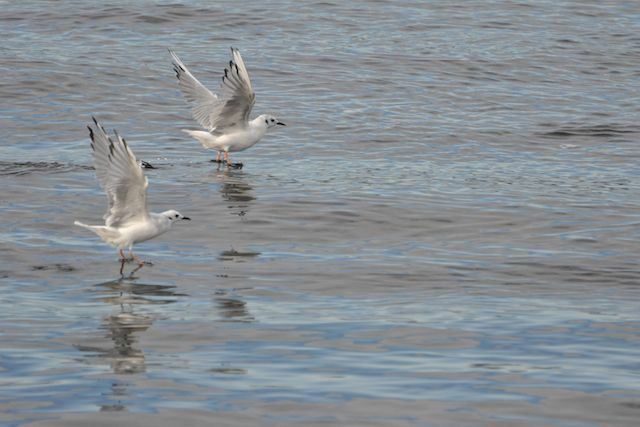 After a few minutes, they went back to foraging, and we continued north. 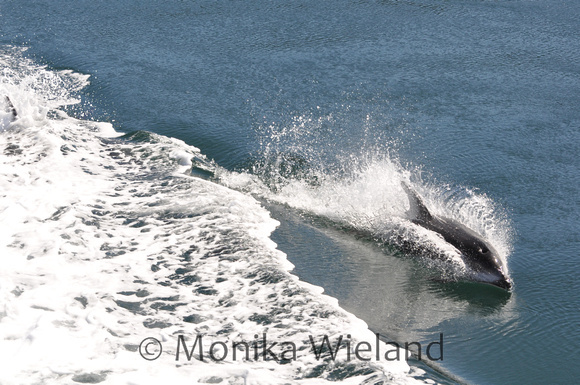 We also spotted some Dall's porpoise, but by this time the captain decided not to stop. There was word that some Northern Residents were well to the north, right at the edge of the range they're able to travel on one of their trips, and we were going to go for them. It sounded good to me! 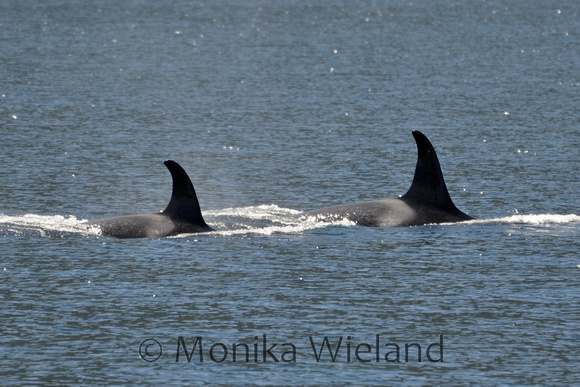 I learned as we approached Cracroft Island that members of A1 Pod were in the area. The Northern Residents, made up of 16 pods and well over 200 whales, are, as their name suggests, sort of the northern counterpart of the Southern Resident population of orcas that I spend most of my time viewing. 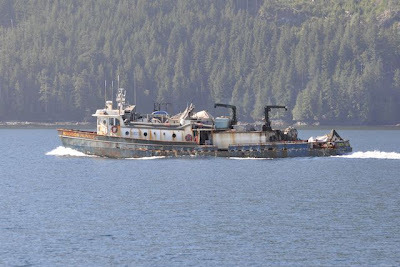 They're fish eaters, spending the summer and fall in the inside passage along the north end of Vancouver Island feeding on the salmon runs. 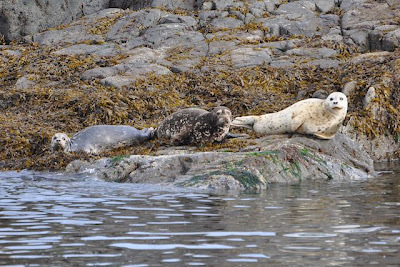 Despite their close proximity to one another, it's not believed that Northern and Southern Residents interact or interbreed. They seem to have split up the salmon rivers, and stick to their own territory for the most part. If you've been following my blog for a while you probably know the Southern Residents are J-, K-, and L-Pods. If you're wondering about pods A through I, that's where the Northern Residents come in. Pioneering killer whale researcher Michael Bigg started the first orca photo identification study, and the first whales he saw became "A" Pod up north. The additional Northern Resident pods became B, C, etc, and J, K, and L were the letters by the time he reached the south end of Vancouver Island. Since then, some of the pods have been lumped or split, so there isn't a pod for every letter, and some letters are actually multiple pods. For instance, A1 Pod is just one of three pods with an "A" designation. I was really intrigued to make connections about the similarities between Northern and Southern residents as our naturalist talked about A1 Pod. He knew their typical traveling routes, just like I do with the Southern Residents, and also their typical association patterns. 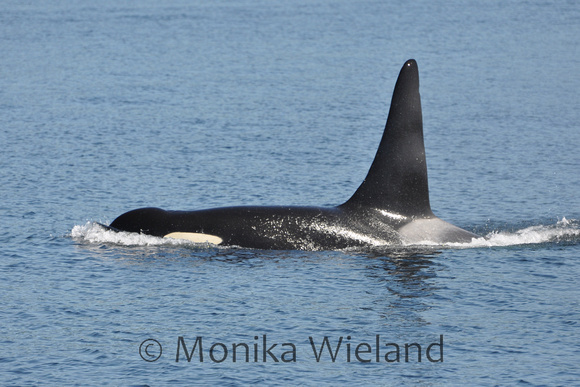 The first three whales we saw were A12 Scimitar, an elder female who has left her daughter's family to travel with A37 Plumper and A46 Kaikash, two adult males who are her nephews and lost their mother in 2009. It reminds me of L87 Onyx of the Southern Residents, who has linked up with one elder female after another since the passing of his mother. (My friend Katie details Onyx's story beautifully here.) It really underlines how important older females are to resident killer whale communities - without one, adult males often die soon after their mothers. 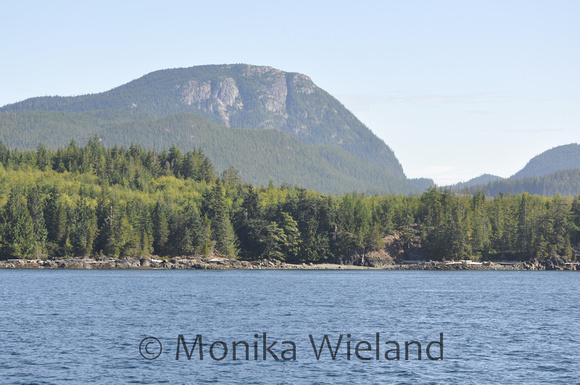 Scimitar, Plumper, and Kaikash were spread out and foraging off Cracroft Island, just north of the Robson Bight Ecological Reserve, a sanctuary for orcas created in 1982 protecting a place of particular cultural importance to the Northern Residents - one of their rubbing beaches. 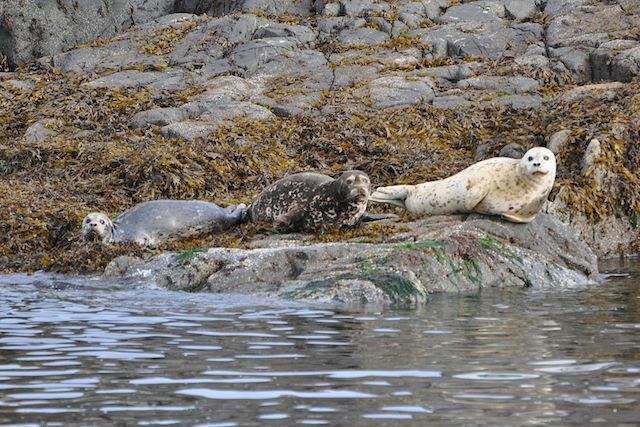 While Southern Residents like to swim through kelp beds, Northern Residents like to rub on round rocks at the bottom of a select few shallow bays. They don't participate in this behavior if disturbed, so boats and land-based visitors are prohibited from Robson Bight. It's an area I first heard about a long time ago, so it was neat to finally see it. One dolphin liked to clear the water on each of his surfacings. 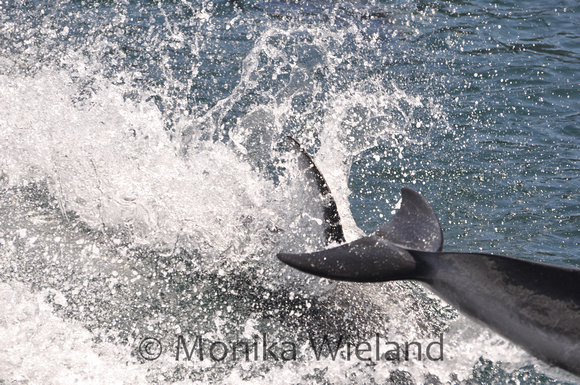 That resulted in this image - with the dorsal fin of one dolphin in the center, and the tail of the dolphin in front of him visible on the right. I took a short video clip that maybe I'll upload at some point, too. Needless to say, it took a while for the smile to leave my face after this amazing dolphin encounter! 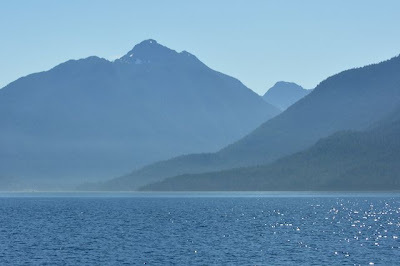 The whole trip was a huge success, and I saw both of my "hoped for" species - Northern Resident orcas and Pacific white-sided dolphins. 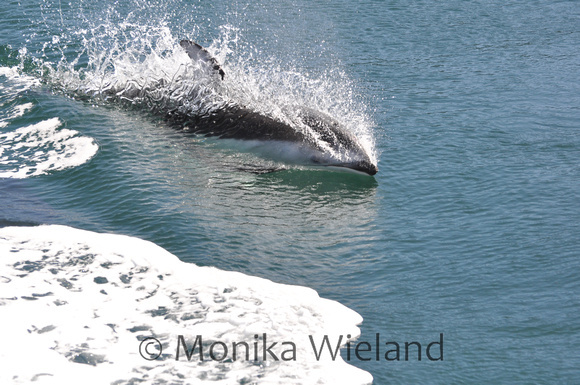 Finally, I just want to say that as someone who has worked as a marine naturalist on a whale-watching boat for six years, I was really impressed with the job done by the folks at Discovery Marine Safaris, who we went out with. Their respect for the wildlife was apparent, and our naturalist Mark was one of the best in the business based on what I've seen over the years. He presented information that was accurate and relevant, and he did so in an engaging manner. He talked about residents and transients, the amazing social lives of killer whales, acoustic dialects, the live capture era, and also important conservation issues relating to salmon, pollutants, and boats, and he did so in a concisely while encouraging everyone on board to take actions to help at home. I was really impressed! I definitely picked up a few things that I could use to make my talks about orcas more interesting. 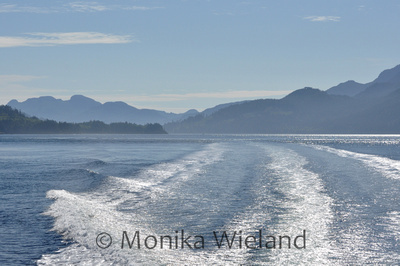 So, if you find yourself wanting to go whale-watching out of Campbell River, check out these guys - you've got my recommendation! You say the naturalist was "not accurate and relevant." I take it you meant to say he was accurate and relevant. Glad you had a nice trip up our way. Amazing dolphin photos! I've never seen close ups of them before. Chatty - Thanks! I had never seen them up close, but I knew they were beautiful from looking at pictures. They didn't disappoint. And I'm glad you saw some whales, too!